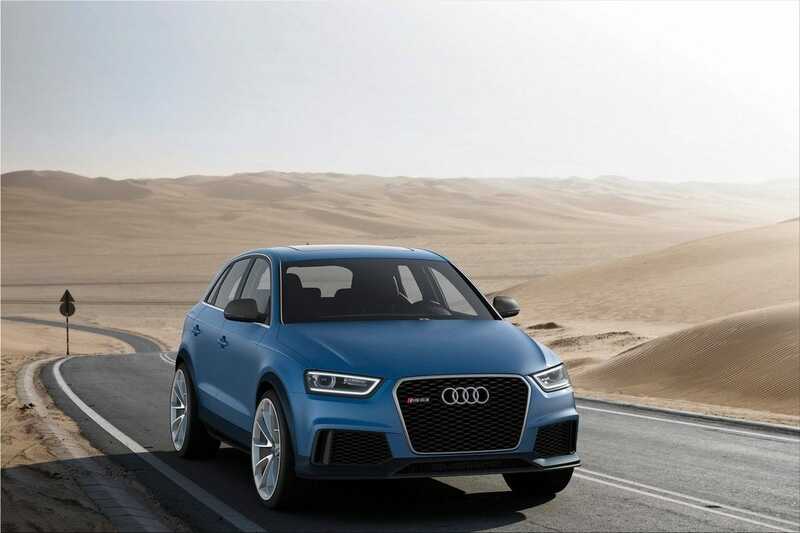 At Auto China 2012 in Beijing, Audi is introducing a themed vehicle in light of the Q3 - the Audi RS Q3 Concept. 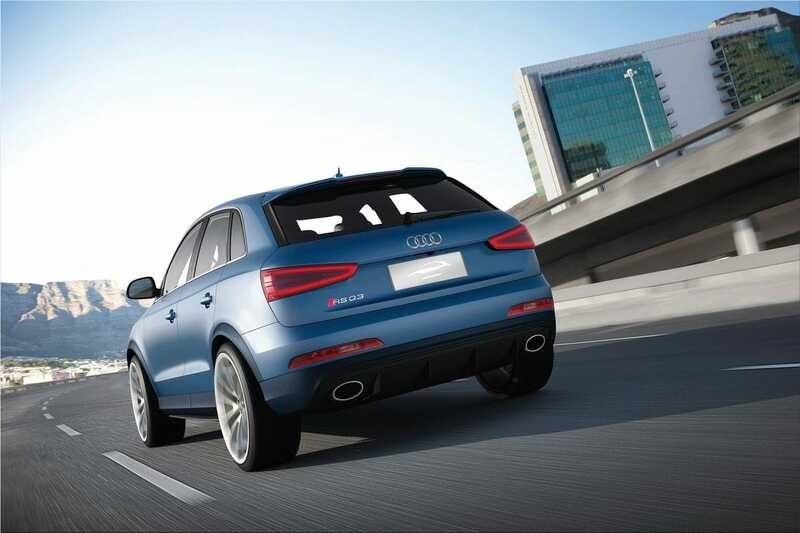 It deciphers the character of the smaller SUV in an extremely extraordinary manner - efficiently powerful. 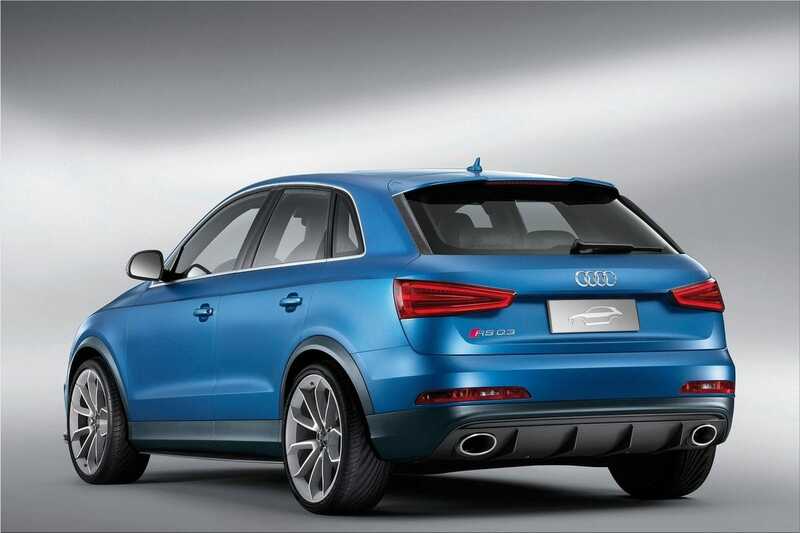 The blue painted Audi RS Q3 Concept is a vehicle in view of the subject of exciting element execution. Its motor, a 2.5 TFSI with 265 kW (360 hp) of force, and its body - brought down around 25 mm (0.98 crawls) and broadened with sharp visual subtle elements - investigate the capability of the Q3 model arrangement recently. The guard was updated; there are currently effective edges around the external air admissions. They are subdivided into two portions - the inward areas have honeycomb screen embeds, while their external segments, made of CFRP, have a smooth channel shape. The front spoiler is additionally made of CFRP. Its lower segment is matt dark. The whole lower segment of the guard is covered with blue clearcoat paint. 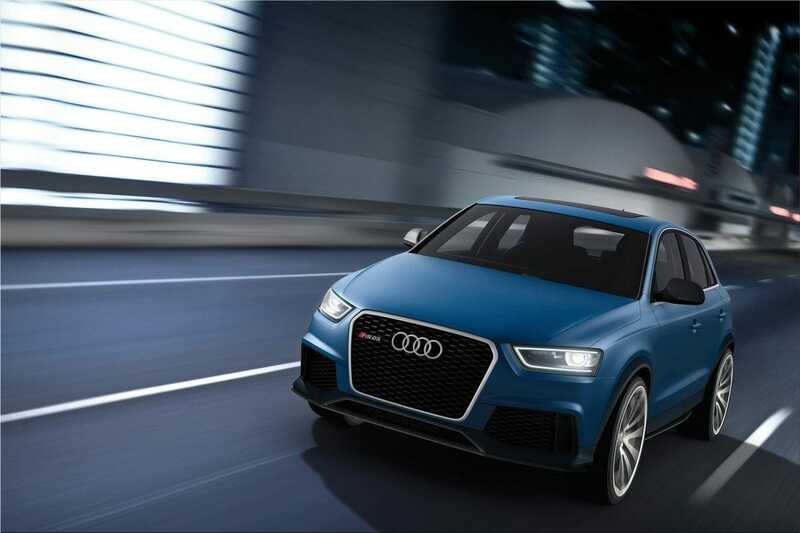 The same blend of beat up tinted ranges is rehashed on the sides of the Audi RS Q3 Concept - on the trim portions of the entryways and ledges and on the extra parts of the wheel lodgings. The entryway mirror lodgings comprise of dark CFRP, while matt aluminum trim edges the side windows. The rooftop spoiler runs far towards the back; its center segment has been marginally abbreviated contrasted with its external areas. It is painted in the body shading Ordos Blue - a matt blue with a slight yellow tint.